Harmonizing body, mind and soul is what a Muskoka spas experience is all about and there is no natural setting more conducive to reconnecting your inner self to your physical world than in Muskoka. 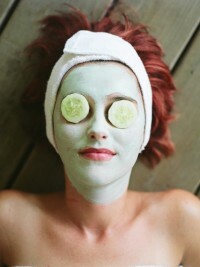 Unfortunately pampering one’s self is a luxury that urbanites engaged in the daily hustle of life rarely find time to do. But there comes a time when we all know that we need to slow down – if only for a moment – to rediscover ourselves; to let our minds finally catch up with our bodies that have been pushed to extremes. It’s the bane of every urbanite’s existence. And yet a mere two hours away from the heart of Toronto, there is a place where gentle winds whisper through majestic pine trees and clear water flows over river rocks a billion years old. Where the silhouette of the forest reflects off the mirror smooth surface of a crystal lake and stars litter the open night skies in a forgotten tapestry of light. It is in this special place called Muskoka that some of the world’s finest health spas and resorts have been established to pamper and inspire you with massages, facials, aromatherapy and more. You will be happy to know that there are some excellent health spas in this area. Some of these Muskoka spas are operated as separate entities within well-known hotels and resorts while some are complete spa resorts unto themselves. Furthermore, Spas Ontario which is an association representing the highest quality facilities in the province, has recognized four Muskoka spas as meeting the criteria to be included in this prestigious group. To make this list a health spa has to offer a certain spectrum of services delivered by certified therapists and estheticians. There must be a certain amount of private rooms available to guests. In addition to fitness facilities and nutrition offerings, these selected spas also must offer at least four hydrotherapy treatments, several different kinds of body treatments and skin care services. The Deerhurst Resort’s Aveda Spa, the Delawana Inn Resort’s Wanakita Wellness Spa, The Inn at Manitou and the Trillium Resort & Spa all make this prestigious list. But there are dozens of other very impressive operations that should not be overlooked in your search for the right health spa. We have tried to make your search for the right Muskoka spa easier by organizing all of the spas together. If we missed your spa on our guide and you are in the Muskoka area and would like to be included on our list please complete our Link Request Form.